As the mid-evening sky dimmed black, a number of women were at the Preston Complex on South Campus. 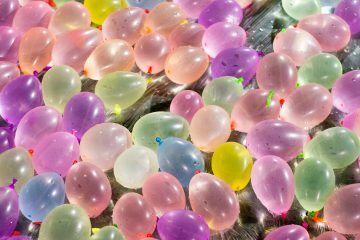 Grass stains inked deep into worn fabric and sweat beaded along the women’s foreheads as their hands lurched forward to clutch their knees. Repeatedly, the women threw themselves into a thin blue blocking pad, stood up, then lowered themselves again to the still, damp earth to complete pushups. A steady flow of 2000’s hip-hop music pumped from nearby speakers as the women gasped and drew breath. 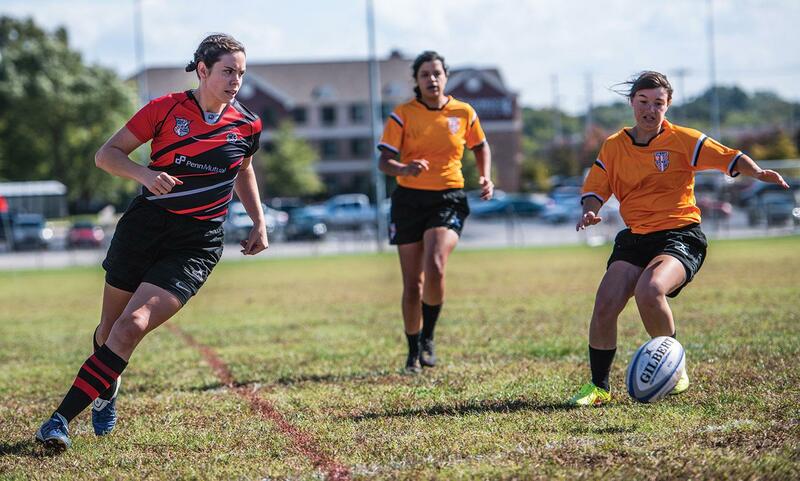 Founded at WKU in 1996, the WKU Women’s Rugby Club provides players the opportunity to compete and grow together as athletes and members of a community. The club’s president, Cleveland sophomore Fiona Wasson, said rugby is often seen as violent or barbaric, but she believes the sport is more sophisticated than people might expect. Though Wasson just started playing rugby last fall, her family has a history with the sport, as her uncle played rugby in England for years, where both of Wasson’s parents were born and the modern game of rugby originated. Wasson said she sought out the women’s club at WKU after reflecting on the influence rugby has had on her family. Wasson said she believes woman rugby players are sometimes stigmatized as primarily “butch lesbians” — lesbian women who prefer to look and dress in a traditionally masculine fashion. 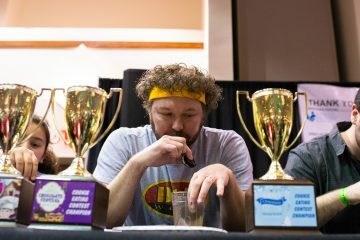 However, Wasson said rugby attracts not only women from the LGBTQ community, but also women of all races and shapes and sizes. 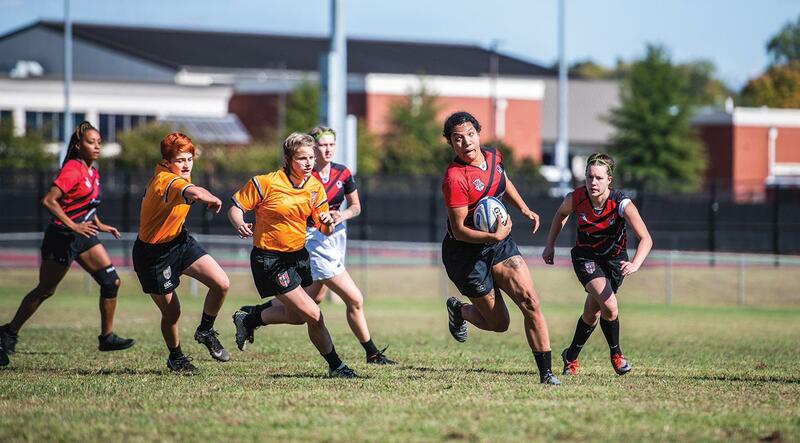 Though Wasson said many women’s rugby clubs are LGBTQ-inclusive, that does not mean woman rugby players, especially those part of WKU’s club, all identify as members of the LGBTQ community. Spokane, Washington, senior Haley Braxton, the club’s head captain, transferred to WKU at the beginning of the fall 2017 semester from Chabot College in Hayward, California. After playing the sport for years in California, Braxton said she came to WKU with rugby in mind. She said rugby is special for its appeal to all kinds of people. Braxton said rugby has helped her break physical and social barriers. 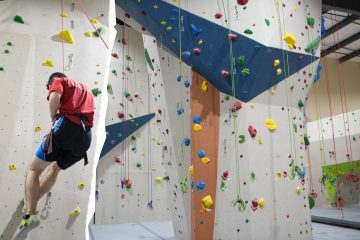 She said she has become more outgoing and willing to express herself since joining the sport. April Schleig, the founder and current president of the club’s alumni association, played with the club as a student from 1997 to 2000, then served as faculty adviser from early 2009 to mid-2018. Schleig said the club has always centered itself around being accepting of everyone. 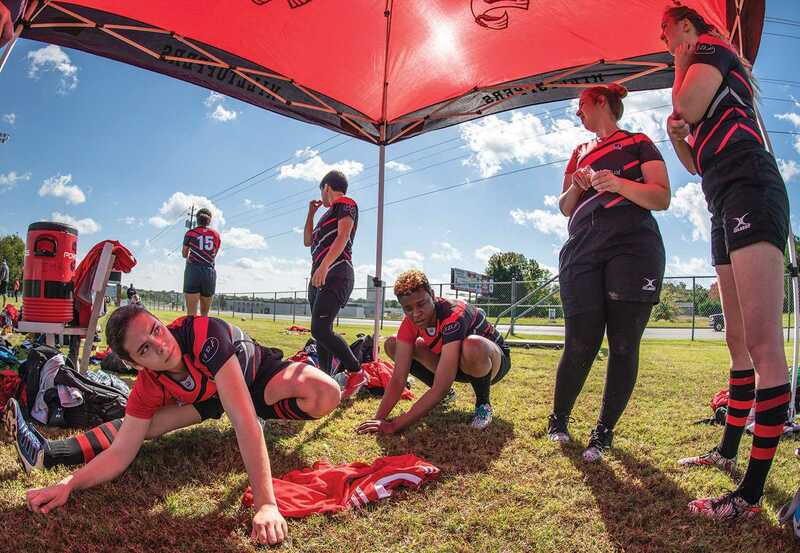 Schleig said she believes participants in the WKU women’s rugby tradition, past and present, are connected through the sport’s intense physicality and supportive nature. She said rugby demands cohesion among teammates at all times. For anyone who might be unsure of where or how to fit in, Schleig said she believes rugby is a great place to start. White House, Tennessee, sophomore Dana Griffith joined the club at the beginning of the fall 2018 semester. Griffith, who identifies as a lesbian, said she was immediately drawn to the club for its welcoming nature. As someone who has participated in sports like soccer, softball and karate for over a decade, Griffith said she enjoys the physicality of rugby. 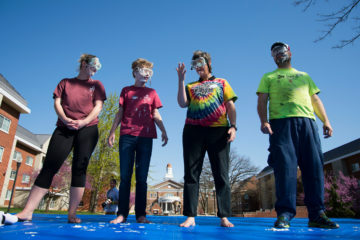 Griffith said she believes the women of WKU’s club are well-acclimated to its demands. Griffith attended Volunteer State Community College in Gallatin, Tennessee, before transferring to WKU for the fall 2018 semester. She said the women’s rugby club has helped her acclimate quickly to what was once an unfamiliar university. Griffith said teammate Lee Wright made the transition particularly seamless. Wright, born in Barren County near Glasgow, is a junior and serves as the club’s vice president and co-captain. Wright identifies as queer and said she partly joined the club because of its appeal to a diverse group of people. Wright said she believes rugby is progressive for its ability to empower women to embrace an aggressive and stereotypically less-than-feminine side. During her first practice with the team, Wright said she felt strong, tackling others and standing back up after being tackled herself. Now a second-year member of the club, Wright said she’s more confident in her strength and ability to take a hit than ever before. In fact, she said she finds it funny when people apologize for accidentally bumping into her while walking to class. 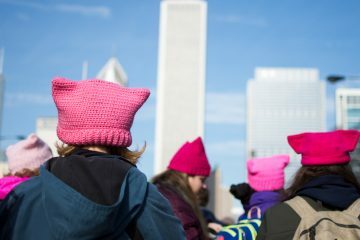 Though she acknowledges women are sometimes stereotyped as incapable of handling themselves physically, Wright said she believes the women’s club confronts that misconception head-on. The sport is not only demanding in terms of strength and stamina but also often dangerous when not practiced properly, Wright said, which she believes makes rugby gender-defying. Wright, who has an anxiety disorder, said rugby functions as her stress relief. She said nothing else invigorates her like running and rucking — the rugby equivalent to tackling in football — alongside her teammates. 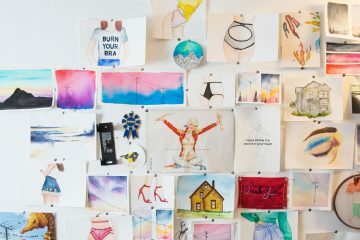 Since joining the women’s club and spending more time with its members, people Wright describes as “unapologetically themselves,” she said she’s grown more comfortable with being herself, whomever that might be. Wright said she encourages other women to welcome the sides of themselves that aren’t so pretty — to find beauty in power and pleasure in pain, no matter the source. 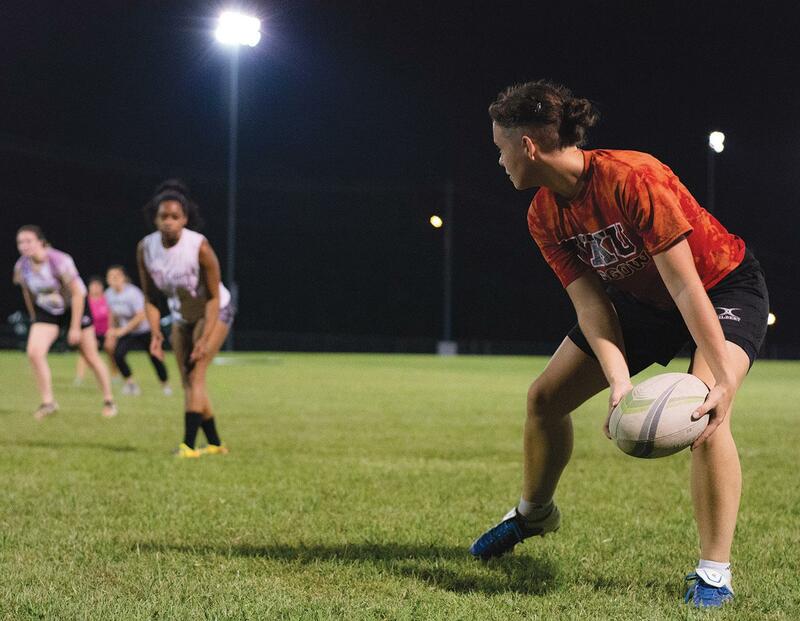 Wright said the WKU Women’s Rugby Club is alive and moving, and she plans to help keep it that way.